The International Quality & Productivity Center (IQPC) named Discover as winner of the two 2012 Call Center Excellence awards. Discover is a customer-focused company recognized for the quality of their service. The company focuses on building good relationships to their consumers by providing them a great experience with every interaction. Thus, it is the only company that has won in three award categories. Discover has won the Best Performance Acting on Voice of the Customer and Voice of the Social Customer category for three straight years. This is awarded to a company that uses social media to change feedback into action and make business advocates. It also received an honourable mention for Best Contact Center Learning, Development, and Recognition Program, a recognition given to exemplary recruitment, development, management, and training of call center employees. It also won the Best New Mobile Customer Strategy which is given to a company that meets the increasing customer demand for care solution on tablets and smartphones, building and maintaining customer satisfaction and loyalty via mobile service, and demonstrating strategic call center inquiries handling via mobile self-service. 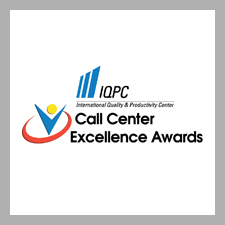 A panel of call center experts selected the winners of the IQPC awards and the winners are recognized during the Annual Call Center Week conference awards in June. Here is an excerpt of an interview with Mike Boush, head of digital of Discover. Q: What digital initiative have you undertaken in the last 12 months that you’re most excited about? Q: What gets in the way of delivering the right experience to your customers? Q: What is the most exciting development or trend that you currently see in eBusiness?